It's fork vs. flame as Toriko and longtime rival Starjun duel for dominance. 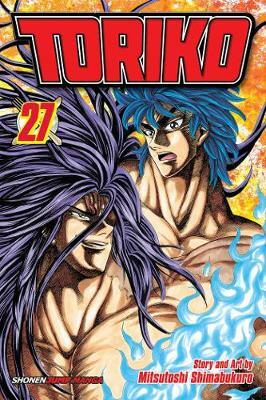 The two seem evenly matched - for every new combination of Fork, Knife and Spiked Punch Toriko conjures with the Ultimate Routine, Starjun has a fire burst or blade to counter. But while their battle rages on, NEO continues to viciously decimate both the IGO and Gourmet Corp. If Toriko survives, will it be too late to help his side win?